Stack, drain and squirt with the Quacky Cups from Alex Jr.! Perfectly sized duckie heads make gripping easy for little hands. 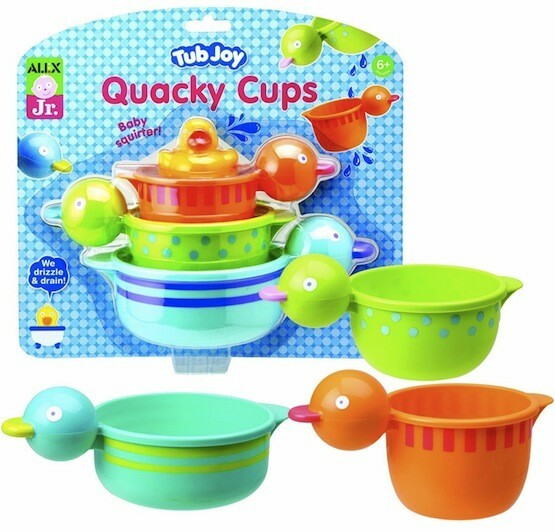 Three cups drizzle, sprinkle, and drain, while the little duck squirts! Squirter is phthalate-free. It's the perfect set for your Mighty Girl's bathtime fun!